The concept of buying makeup for cheap, the thought of getting one over on the expensive line that you think is ripping you off with their high prices, or maybe just the idea that you are getting a smoking deal can be all you need to get you clicking the button and buying those bargain priced beauty products. I often see makeup enthusiasts online posting "dupes" - cheap copies of popular brand products and I have to tell you it drives me crazy. Not just because some super cool brand who have created a quality product are being ripped off, but also because unsuspecting consumers are buying very poor quality, often toxic beauty products and running all kinds of risks. 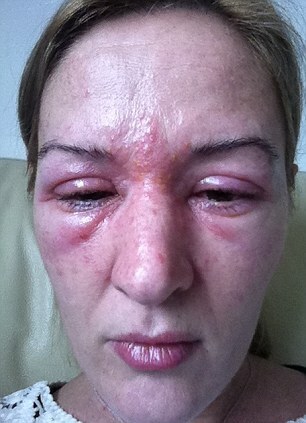 I have seen some horrendous skin reactions to cheap, made in China makeup products over the years. Believe me you would never, ever want that to happen to you. Counterfeit beauty products frequently contain dangerous levels of ingredients such as arsenic, lead, and copper, and even have been found to contain urine and rat droppings. Don't believe me? You may want to think twice about skimping on your cosmetics. When you find deals online on some of your fave beauty and skincare lines, such as MAC or NARS, it’s likely too good to be true -- they’re knockoffs. Well, just remember those counterfeit cosmetics go on your skin, and what goes on your skin gets absorbed into your body. And as it turns out, those counterfeit cosmetics contain some harmful and DISGUSTING ingredients. A report released by the City of London Police that is aiming to raise awareness about the dangers of purchasing fake beauty products online, revealed that some fake eyeliners, mascaras, lip glosses and foundations are laced with arsenic, mercury, lead and even -- wait for it -- RAT DROPPINGS! And that counterfeit perfume? It was found to contain cyanide and human urine. Applying these harmful products on your skin can lead to allergic reactions, burns, irritation, rashes and long-term health problems. Now how does rat excrement and poisonous substances end up inside these phony cosmetics? They’re manufactured in unregulated and unsanitary factories, and are not subject to rigorous safety tests. Other fake beauty products the report warns against include fake sunscreens that won't protect you from UVs, and electronic devices such as hair straighteners that can overheat. The RCMP has also warned Canadians about the dangers of purchasing counterfeit beauty, skincare and other health products in the past. A woman was even hospitalized after having a serious allergic reaction to a MAC product she purchased at a flea market in Mississauga. According to the report, UK consumers spend about £90 million (about $172 million CAD) on fake products every year. City of London police said more than 5,500 websites selling fake luxury products have been suspended, and more than £3.5 million ($6.65 million CAD) in fake items seized. 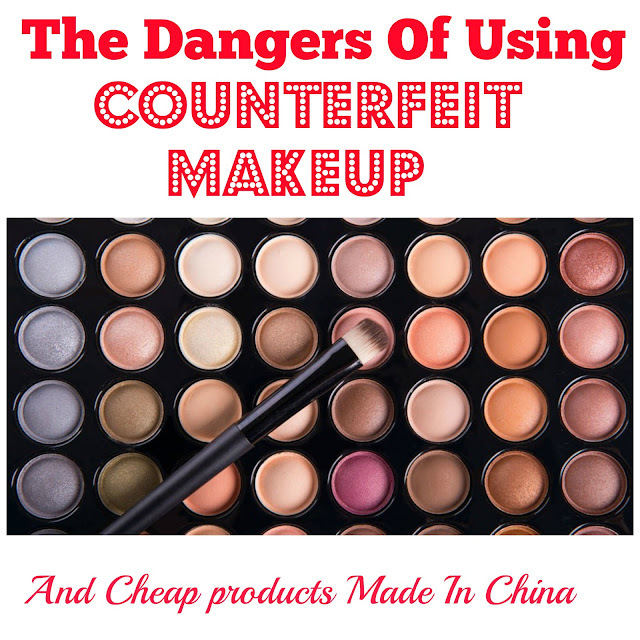 To guarantee you don’t end up with counterfeit cosmetics and smearing hazardous chemicals and rat poop on your face, your best bet is to purchase products from reputable stores or from the manufacturer's website. One of these mascaras from Benefit is genuine. The other, bought online, is a counterfeit containg dangerous levels of arsenic.